I asked what he was doing currently to attract more customers. Nowadays relying only on aggregators is risky as all your competitors are now listed there trying to reach the same audience. Do so and you’re on to a race to drive your margins down. Your customer are no longer only discovering you thanks to your website. Chances are they will engage first with you from Instagram or Facebook. If you try to re-direct them on your website, you will lose around 50% of those potential customers. That’s why it’s very important to offer them an easy way to order from you directly from the apps they use the most every day: Instagram, Facebook Messenger, WhatsApp and obviously from your website. Restaurants are about food and relationships. On your website, the relationship part is often forgotten. Surprise your visitors with personalized messages that will delight them. The amount of visitors that will finally order will literally explode! On average 5X more than with only the boring “Order Online” button. 3. Make yourself visible on Google Mobile. You might not know it but google algorithm has changed. To please the increasing number of users doing searches from their mobile. 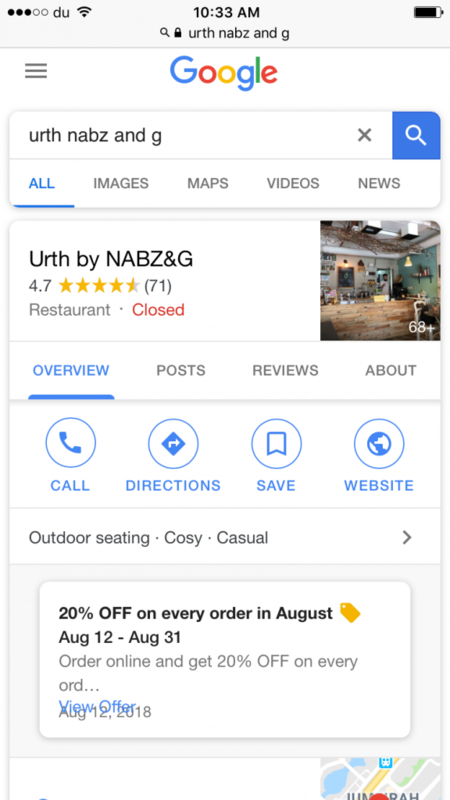 Google decided to display your restaurant information first before the forest of aggregators trying to use your name to drive traffic to their websites. 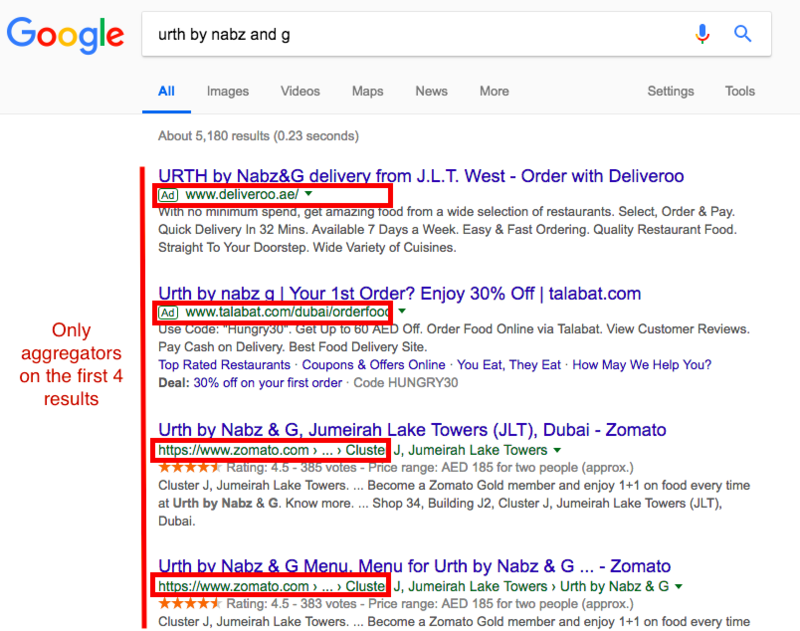 See below how the same search looks on desktop and mobile to increase online orders. So update, your google my business, and make sure you display all the main information to surface first on Google. What are your customers doing more than 20 times a day? Checking their social media accounts. If you let your fans and followers know they can easily order from you, you multiply by 5 your chance for them to place an order! The best asset of a restaurant is its loyal customers. You want to make sure you reward them and make it a no-brainer to order directly from you. As a matter of fact, you will drive 57% more orders if you have a loyalty program in place given the program is easy to understand and do not require any effort to activate and redeem for your customers. After every order, ask for feedback from customers. When the feedback is positive, then it’s the perfect moment to ask for online reviews. Send them an email or SMS and make sure to thank them for their reviews. Feedback helps you to better run your business, reviews have the power to influence other potential customers behaviors. Your loyal customers usually love to talk about you to your friends but they sometimes need a little push. 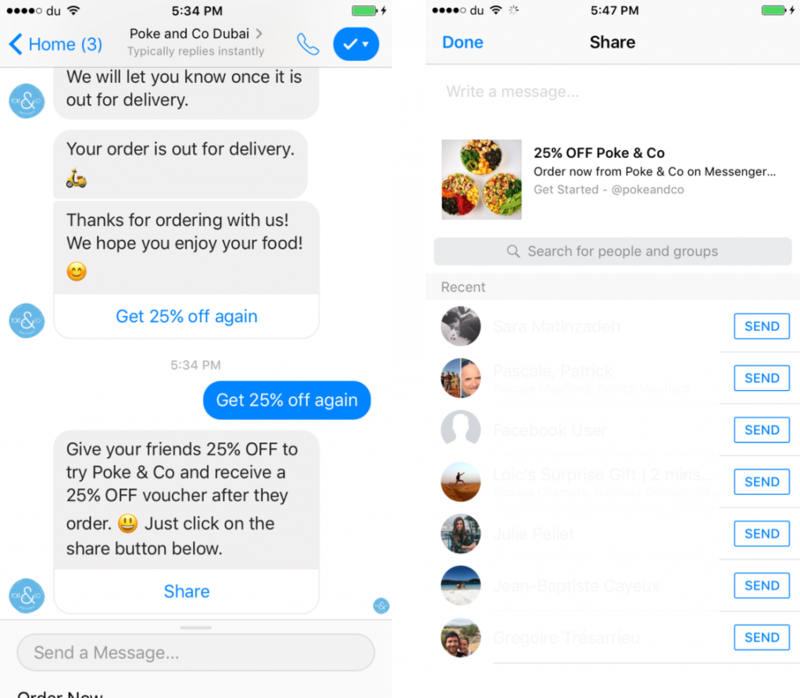 Offer them a discount on their next order and make it easy for them to share your restaurant and you will soon increase online orders from their relatives popping up on your dashboard. As a restaurant owner or manager, you’re often busy managing so many different emergencies that it’s not always easy to take the time to answer your customer’s questions. 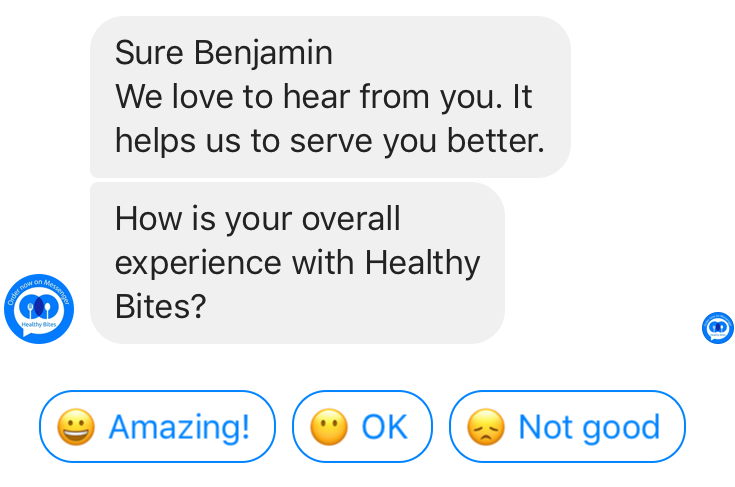 If you’re in that situation, you can use a chatbot, a little robot you customize and can answer automatically to 90% of your customer’s question. It will also inform you when you need to jump in. This way you can delight your customers without having to hire a specific person to do so. Often the most obvious and easiest tactics are the forgotten one. Let your customers know in your restaurant they can order for delivery still works very well. You’re probably already contacted by many bloggers and influencers to write or talk about your restaurant. Do so as much as you can but never forget to give them a specific link to your ordering system where you will be able to track how many orders do they drive for you and pay them accordingly.